Friday 16 June saw close to 100 children with their parents and carers Welcomed to Country by Auntie Barb on the steps of Moree Library, before they followed the local firies inside, who were carrying their reading egg. There were calls of VICTORY when their new Reading Bug hatched, with the children eager to read, sing and touch their special friend. The morning finished with photos with the Bug, a red morning tea (healthy!) and a new book for each child attending. 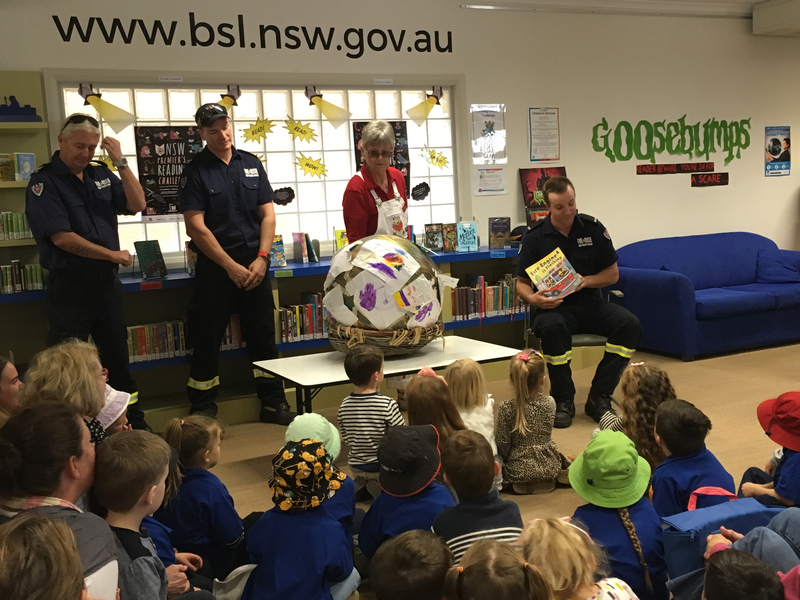 Fireman Adam was the last person to read to the egg before hatching and Marla Hosegood, the local Commonwealth Bank Manager, the first to read to the newborn.